Public folders to Office 365 Groups – Yes Please! The last couple of weeks have brought forward news of two solutions to migrate public folders (aka “the cockroaches of Exchange”) to Office 365 Groups (aka “Microsoft’s new answer to collaboration in the cloud”). The two solutions differ in concept and implementation, but both are valuable in what they do. First, we have Binary Tree’s E2E Complete V4.1, which has added the ability to move public folders to Office 365 Groups to the set of other features previously supported by this well-known migration utility. Binary Tree has some serious credentials in the migration space, mostly earned by their ability to move Lotus Notes users over to Exchange on-premises or Office 365 (Binary Tree provide the Lotus Notes migration tools to Microsoft’s FastTrack migration center). Are the public folders in active use? Do the users have Exchange Online mailboxes? Do the public folders store posts and calendar items? There’s no point in migrating rubbish to Office 365 Groups. Old, obsolete, and unwanted material contained in public folders won’t be any better after it is moved to Office 365 Groups. The user interface might look nicer but the information will still smell. Currently, users need to have Exchange Online mailboxes to be able to access Office 365 Groups. This limitation is due to go away soon as Microsoft has indicated that external access support for Office 365 Groups is a high-priority item that is on its way. Posts are moved to Office 365 Groups as conversation items and stored in the group mailbox. Calendar items are moved to the group calendar. If a post has an attachment, it moves as an attachment. However, documents posted direct to a public folder can’t be moved today nor can journal items, contacts, or tasks. These item types are unknown in the context of Office 365 Groups. I guess they could be moved, but there would be little point if you couldn’t access them afterwards because the data couldn’t be presented as the UI was missing. Folders containing sub-folders will be collapsed into one if a single Office 365 Group is selected as the target. After reviewing public folders and selecting those that should be moved, the administrator has to create the target Office 365 Groups (if they don’t already exist). Once all is ready, the source and the target are connected using the E2E Complete console and a background synchronization process based on MAPI moves the content from one to the other. After synchronization finishes, it’s best to check that the expected content arrived. and if happy, to remove the source public folder (or change its permission to stop further write access) and advise users to start using the Office 365 Group instead. Some element of bi-directional synchronization is possible, but E2E Complete is not designed to keep content updated between a public folder and an Office 365 Group over a sustained period. This is, after all, a migration utility. The new capability is great news for Binary Tree customers who have settled on E2E Complete as their preferred migration tool. Office 365 Groups become another viable destination for public folder content and the same tool handles everything. The other new product in this space is project ADAM from QUADROtech Solutions AG. In the spirit of full disclosure, I am a non-executive director of QUADROtech and have spent time working on ADAM, which remains a product in search of a name. I’m told that marketing have this issue on their plate and a wonderful name will be settled upon by the time Microsoft’s Worldwide Partner Conference (WPC) takes place in Toronto, Canada, in July. Although QUADROtech also engineers migration products for Exchange such as PST FlightDeck and MailboxShuttle (if you’re interested in eradicating those pesky PSTs, you can grab a copy of a free eBook on the topic authored by Mr. ExchangeServerPro, Paul Cunningham), ADAM is very different. Why? Because it is powered by an advanced analytic engine that is designed to cut through the mass of source data that often clogs up migration projects. Take public folders for example – quite often, you discover that the public folder hierarchy is populated with vast quantities of old, forgotten, or unknown folders that belong to no one or no group. Public folder hierarchies can range well up into the several hundred thousands and no good tools exist to make sense of what’s valuable and what’s not in the data lurking within. The analytic engine used patent-pending technology to interpret the public folder hierarchy and come up with intelligent recommendations that administrators can then action with a single click. Multiple characteristics are considered in making a recommendation about the right target for a public folder. That target might be an Office 365 Group but on the other hand, if the public folder contains information that hasn’t been accessed in five years or a public folder has no known users, maybe its data should be moved to a PST. Behind the scenes, other QUADROtech technology such as its Advanced Ingestion Protocol (AIP) is used to move the data out of public folders over to Office 365 Groups. We’re still in the early days of public folder to Office 365 Groups migration and I imagine that other tools will appear by the time the Microsoft Ignite conference comes around next September. In the interim, it’s good to see that two respected companies in the Exchange ecosystem have come forward with two different kinds of solutions. Choice is great for everyone and competition has a fantastic effect on driving technology forward. 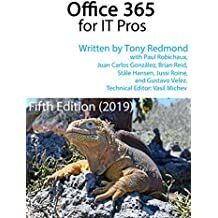 This entry was posted in Cloud, Email, Exchange Online, Office 365, Uncategorized and tagged Binary Tree, E2E Complete, Exchange Online, Office 365, Office 365 Groups, Project Adam, Public folder migration, QuadroTech. Bookmark the permalink.